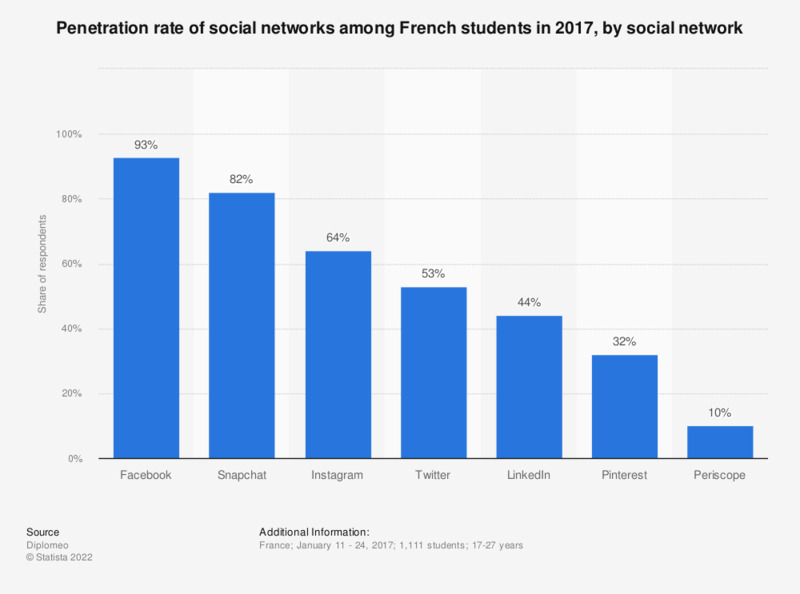 This statistic represents the penetration rate of social networks among French students in 2017. That year, more than 90% of respondents were registered on Facebook. The source gives no information regarding the initial formulation used during the survey.